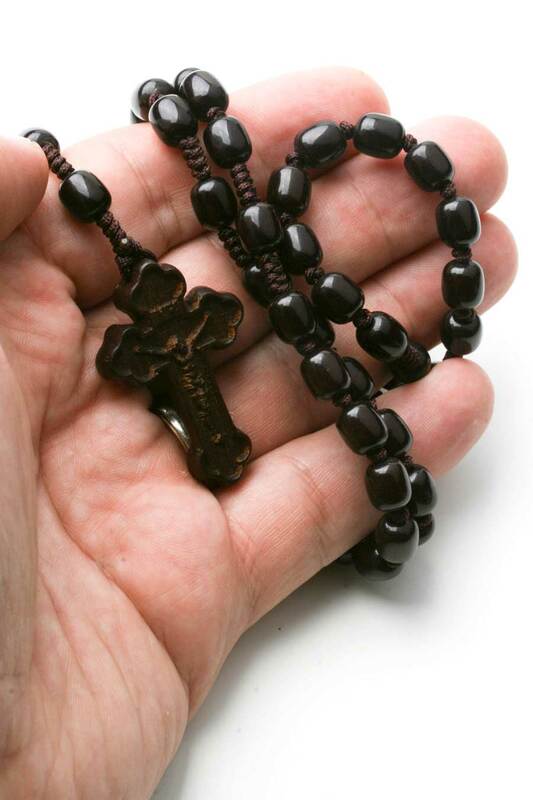 Pray the Lords prayer with this high quality five decade rosary and discover mysteries of the rosary. 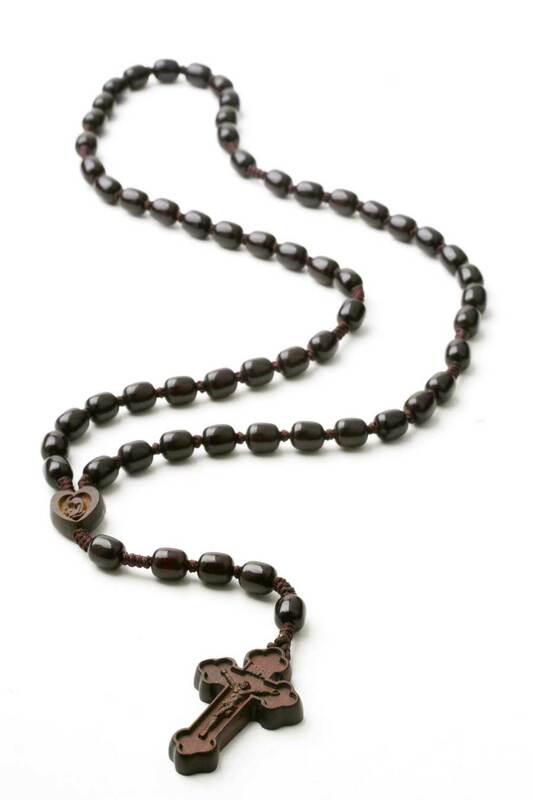 The beads are oblong and smooth with piano luster finish. 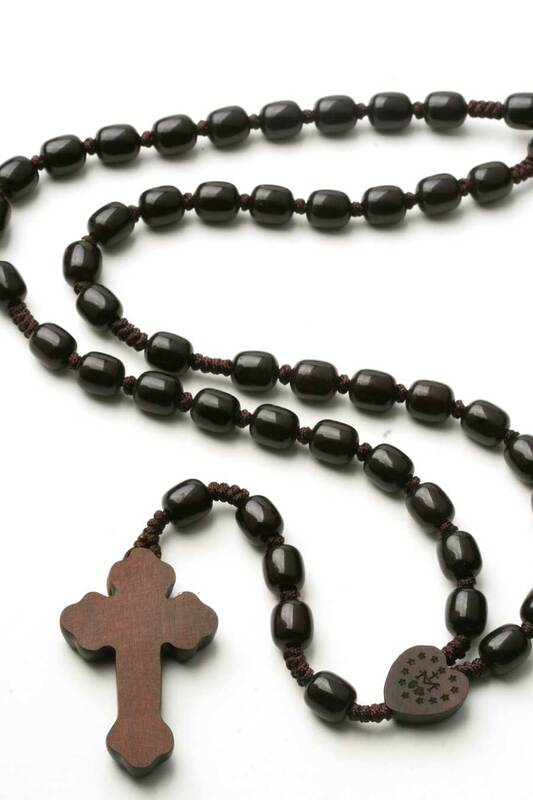 Each bead is approx 6mm x 10mm in size and strung on a strong durable cord. 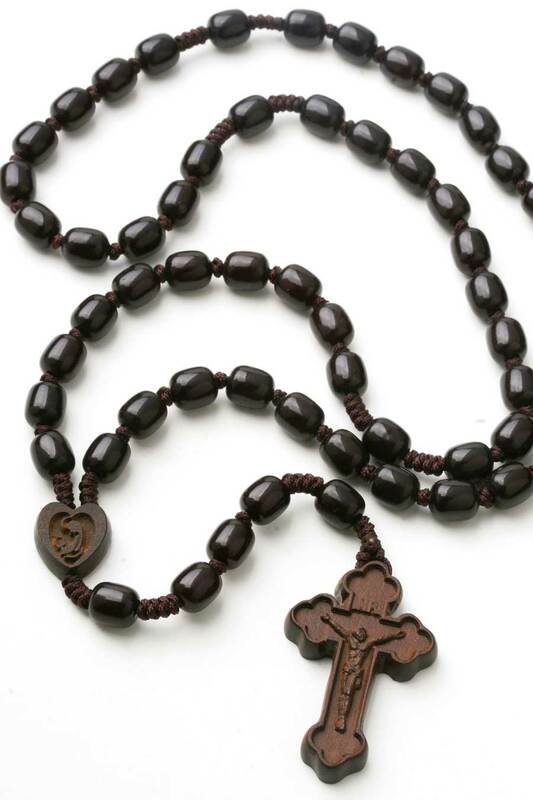 The heart shaped wooden center features image of Mary with child carved into the wood on one side and miraculous medal stars with M (for Mary) on the other. The crucifix is 1.5 inches. 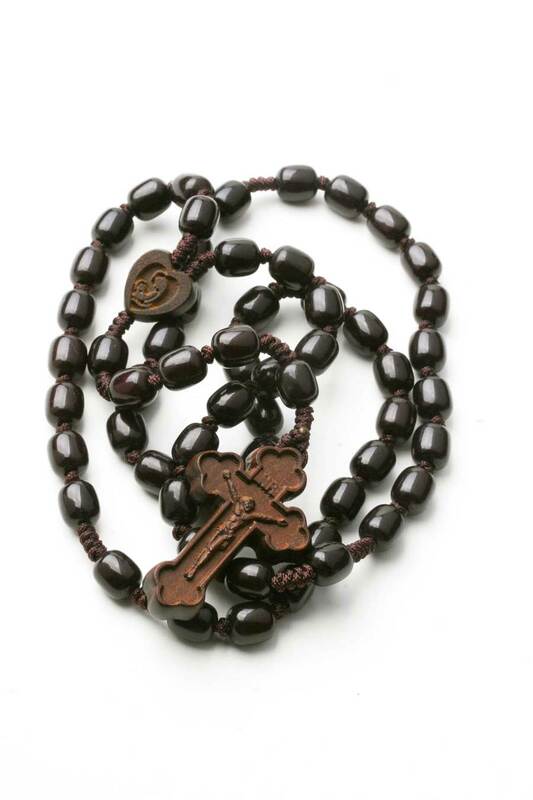 The total length of this rosary is 18". 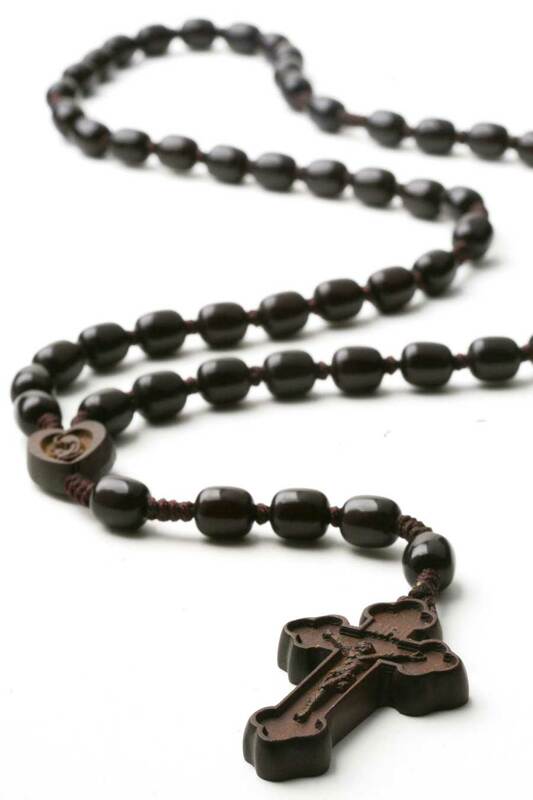 These prayer beads are perfect for a men to carry in a pocket or for a woman's purse. Comes in a box.